The weather is really on our side! 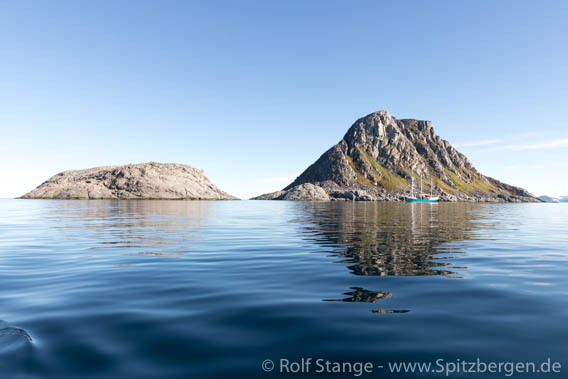 The first thing is a pretty rare landing on Waldenøya, a small and remote island, in a mirror-like sea today. Definitely a place that does not see a lot of visitors! 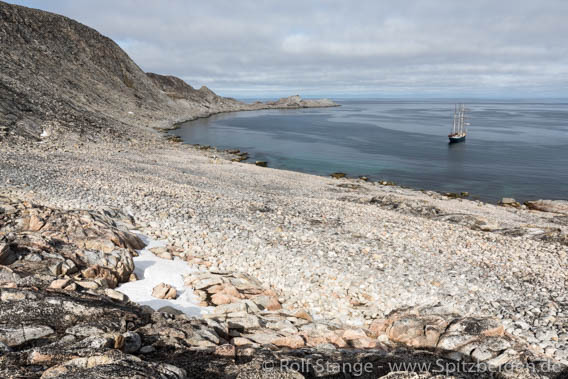 Walter Wellman was stranded here for a couple of weeks with his expedition in 1894. We sit on the rocks and enjoy the sun and the undisturbed view to the north pole. It is sunny and calm all the way up to Rossøya, so we enjoy a Zodiac cruise around this islet, Svalbard’s very northernmost one. Further north, there is just water, liquid and solid, and the north pole. A rare sunny day in these latitudes! An evening excursion to Phippsøya does not yield walrusses, as we had been hoping for, but a polar bear. Which showed up on a pretty short notice as we had just gone ashore. 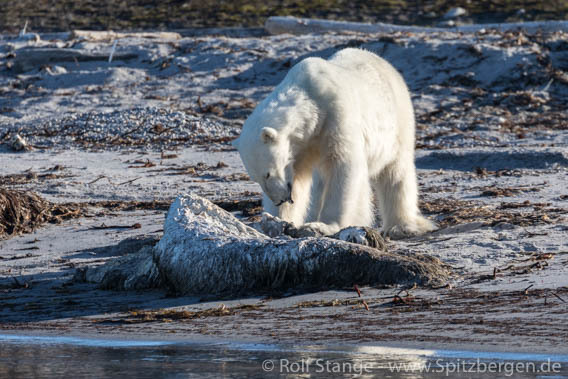 Alex, who was scouting the terrain, had the pleasure to discover the bear, which had been sleeping in a terrain depression, at a rather uncomfortable distance, but it was not at all interested in us and turned its attention to a rather rotten carcass of a walrus. We went back into the boats and enjoyed the views in safety for man and beast. A great day on 80 degrees north!